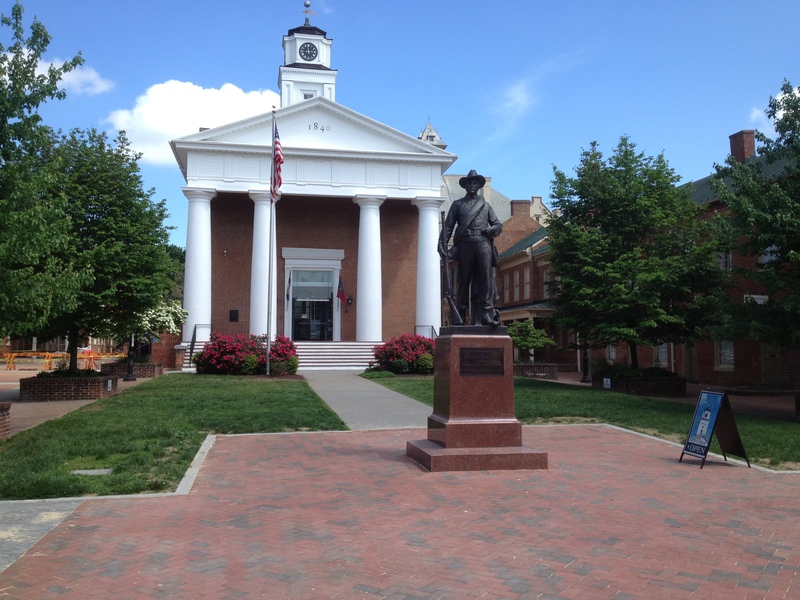 Today, my family bought the ownership of an additional franchise business in Winchester, Virginia. Though I have little hands-on involvement in this retail endeavor, I needed to be there for the transfer and paperwork, etc. 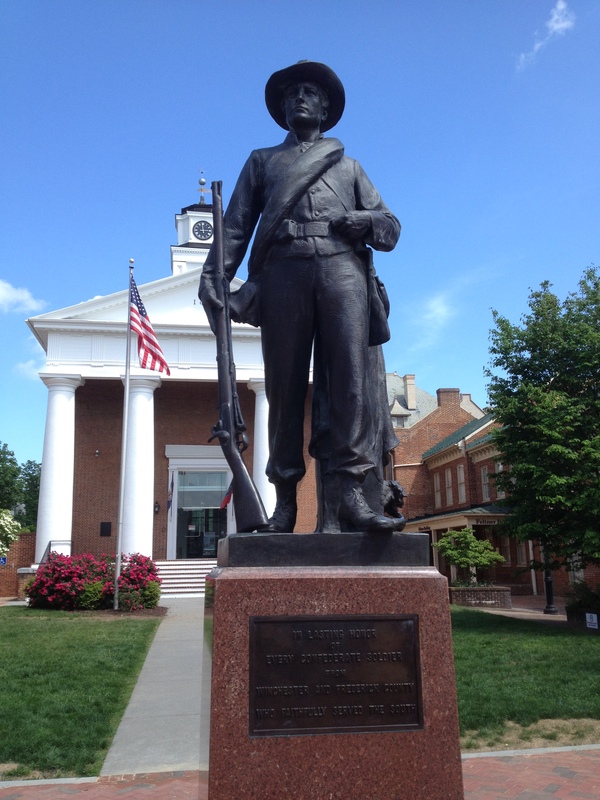 Now, it is not like I do not know or understand quite a few details about the role of Winchester in the Civil War, I’ve just never seriously scouted it all out – especially not recently enough to write about it in this blog. But that is going to change. There is Civil War history close enough to our store to spit upon it! We are located on Loudoun Street which is the old Valley Pike – serving formerly as the main north/south road through town. 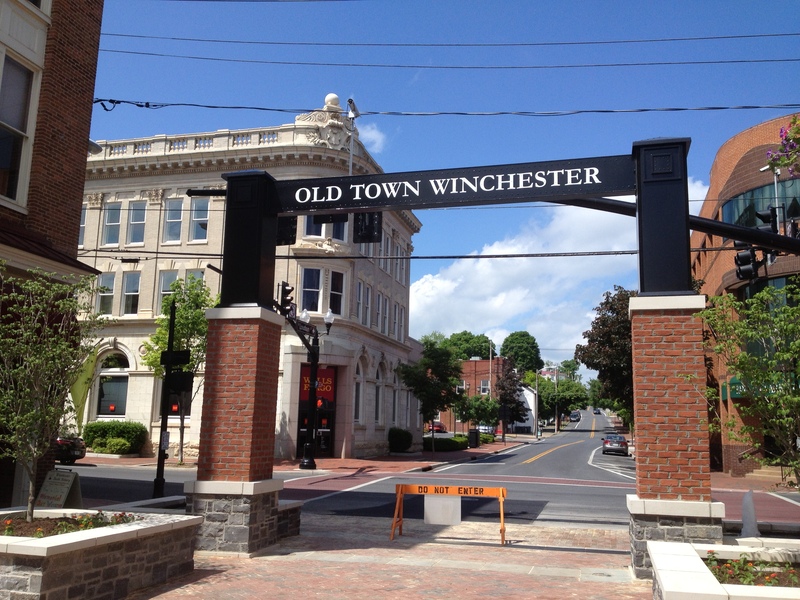 This is now, for several blocks, a walking mall in an area called Old Town, Winchester. It is very well-done and a good model for urban renovation of a historic area. I will have to research what our exact location was in the Civil War era, but immediately next door to the north of us is the currently ongoing renovation project of The Taylor Hotel. Built and opened by Bushrod Taylor in 1848, its 70 rooms served travelers and functioned as a mail and stagecoach stop in the 1850s. Stonewall Jackson used the hotel as his first headquarters in 1861 while commander of the Valley District. During the War, the structure was a hospital location for wounded, particularly after the First Battle of Kernstown (March, 1862) and the Third Battle of Winchester (September 1864). In Winchester we were consigned to the court-house and the enclosure between it and the street. There was already in these precincts a crowd of some 300 rebels, stragglers, conscripts and the riff-raff a provost-guard can pick up — a miserable lot — who did not fraternize with our men, and who were so filthy in clothing and habits that our men remained of choice in the open yard without tents or blankets, even during nights of hoarfrost, to avoid contact with those in the court-house, which we were otherwise free to occupy. Owing to restricted diet and exposure, without any covering whatever from the frosty night air, all of our men suffered more or less with dysentery. No medical attention was offered them. Their previous robust health, however, and the hope of soon getting back to our own lines, kept them up, and not one became helpless. I, ___________ , do solemnly swear that I will not do or undertake any act or exert any influence in favor of or for the advantage of the United States or against the government of the Confederate States; and that I will not divulge anything that I have seen or heard, or may see or hear, to the prejudice of the Confederate States; or engage in any military act whatsoever during the present war until regularly included in an authorized exchange of prisoners. Sworn before me this 29th day of September, in the year of our Lord one thousand eight hundred and sixty-two, at Winchester, Virginia. …Major W. Kyle. By order of General Robert E. Lee. 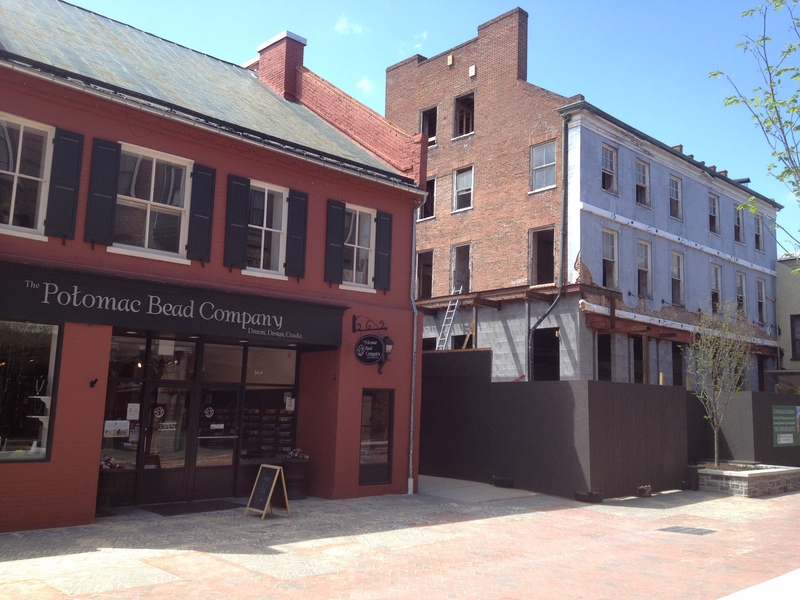 Posted by Randy Buchman on May 21, 2013 in Antietam / Battlefield Guides, Antietam Aftermath Series, Winchester and tagged The Taylor Hotel, Winchester in the Civil War.